A Foreign National is a person who is not a citizen of the United States or a permanent resident alien. The UW welcomes Foreign Nationals. For tax purposes, a Foreign National is generally a F-1 full-time student who has been in the US for less than five calendar years, or a J-1 teacher/researcher who has been in the US for two calendar years or less out of the last six calendar years. For immigration purposes, a Foreign National is a person who is not a citizen or permanent resident of the US who has been admitted on a visa for a temporary stay that will end when the purpose of that stay has been met. Glacier Tax Compliance is a secure, web-based application used by the UW to determine the correct taxation on wages for foreign national employees. Visit the Getting Started in Glacier Tax Compliance page for details. Federal law requires that all new employees fill out USCIS Form I-9 Employment Eligibility Verification to document that they are authorized to work in the United States. It is unlawful for the University to knowingly employ a Foreign National not authorized to work in the United States. Similarly, the University can only make payments to Foreign Nationals who are legally authorized to be in the United States. It is critical that your scholarship and fellowship payments are taxed appropriately. Refer to the USCIS website for more information on document requirements. Refer to the ISC’s Form I-9 Journey Map (PDF) to familiarize yourself with the process. Pay particular attention to step 3, which provides guidance to individuals who are not US citizens. In Workday, complete Section 1 of the Form I-9 – refer to the steps described in the Complete Form I-9 User Guide. Leave the “U.S. Social Security Number” field blank if your SSN is not available at the time of hire. Present the appropriate documentation to your department’s I-9 Coordinator. Your I-9 Coordinator completes Section 2 of Form I-9. Work Authorization documents have expiration dates. USCIS rules require employers to re-verify Work Authorization on USCIS Form I-9 Employment Eligibility Verification. These rules also apply to extending Foreign Nationals’ authorization to receive scholarships and fellowships. It is critical that your scholarship and fellowship payments are taxed appropriately. Advance notice will be provided to you as the process for reviewing or extending dates of employment eligibility can be a lengthy one. You and your department will receive notifications prior to expiration of your Work Authorization. You are responsible for initiating the renewal process. Contact the International Student Services Office (ISS) or International Scholars Office (ISO) to get started. Then, bring your renewal documents to your department’s Form I-9 Coordinator. You complete Name and Social Security Number in Section 1 of Form I-9. You present documentation to your department’s Form I-9 Coordinator. Your department’s Form I-9 Coordinator completes Section 3 of Form I-9. Special rules may apply to the H-1B visa allowing you to work for an additional 240 days from the expiration date of your current Work Authorization if your Work Authorization extension application is pending. If this exception applies to you, make sure to include a copy of the Form I-797C Notice of Action when submitting your I-9 in Workday. The University of Washington participates in the E-Verify process. Only employees who are paid from a federal contract or grant with an E-Verify clause are required to go through the E-Verify process. The UW Payroll E-Verify account number is 293411. Use this number on OPT/STEM extension forms. The University of Washington is a withholding agent for the Internal Revenue Service (IRS) and is required to withhold mandated taxes. All employee wages are taxable unless specifically exempt from tax by a US law or a treaty. Scholarships and fellowships paid to a Foreign National from a US source are taxable unless specifically exempt from tax by a US law or a treaty. A tax treaty is negotiated between the United States and a foreign country. The purpose is to reduce double taxation on residents of the other country. A list of current wage tax treaties is available in IRS Publication 901 (PDF). Foreign Nationals should review the IRS Publications in link below and make an initial assessment of their tax treaty eligibility. A Social Security number (SSN) or Individual Tax Identification Number (ITIN) is required for wage reporting to the IRS and to claim tax treaty benefits. If the you are eligible for a tax treaty benefit, Glacier will generate an IRS Form 8233 (PDF) and an IRS Form W-4. IRS Form 8233 must be renewed each calendar year through Glacier. A refund will not be made for any Federal Withholding Tax previously withheld during the current calendar year. Upon receipt from Glacier of a completed Form 8233 and the Treaty Attachment, Federal Withholding Tax will not be taken out of future paychecks until the tax treaty exemption dollar limit is reached. Failure to supply the required documentation may result in incorrect taxation. IRS Publication 597 (PDF) provides information on the income tax treaty between the United States and Canada, including provisions that often apply to US citizens or residents who may be liable for Canadian tax. Treaty provisions are generally reciprocal; the same rules apply to both treaty countries. Therefore, a Canadian resident who receives income from the United States may refer to this publication to see if a treaty provision may affects tax they pay to the United States. You are required to complete IRS Form W-4. This must be submitted in Workday. A Social Security number is required. Special rules apply to nonresident aliens for tax purposes when completing IRS Form W-4. Withholding will default to single and one allowance if you do not complete an IRS Form W-4. If you are eligible for a Scholarship or Fellowship tax treaty, complete IRS Form W-8BEN (PDF). A Social Security number (SSN) or Individual Tax Identification Number (ITIN) is required. IRS Form W-8BEN is valid for three calendar years and must be renewed through Glacier. A list of current Scholarship and Fellowship tax treaties is available in IRS Publication 901 (PDF). If you are eligible for a tax treaty benefit, Glacier will generate the required forms. Scholarship and Fellowship payments are subject to 14% Federal withholding tax if there is no tax treaty exemption. In general, United States OASDI (Social Security and Medicare) taxes apply to payments of wages for services performed as an employee in the US, regardless of the citizenship or residence of either the employee or the employer. Determination of an exemption from OASDI is based on the calendar year (January-December) you enter the United States. The calendar year may only be a partial year. For example, if you entered the United States on December 31, 2016, 2016 counts as your first calendar year. Students on F-1 or J-1 visas are exempt from OASDI taxes for the first 5 calendar years. Scholars (non-students) on J-1 visas are exempt from OASDI taxes for the first 2 calendar years. Students and scholars on J-2, H-1, E3, and TN visas are required to pay OASDI taxes. IRS regulations mandate that Foreign Nationals must have either a Social Security number (SSN) or an Individual Taxpayer Identification Number (ITIN) in order to receive any tax treaty benefits. If a foreign national is receiving wages, you must apply for a Social Security number with the Social Security Administration. If a foreign national is receiving Scholarship or Fellowship payments, but not wages, you may apply for an Individual Taxpayer Identification Number (ITIN). Present your Social Security Card to your department. Your department will update the information in Workday. If you are a Foreign National student, you are also required to present your Social Security Card to the Registration Office, 225 Schmitz Hall, for updating in the Student database. Failure to notify your department and the Registration Office may result in incorrect taxation. Payments made to a Foreign National who performs services outside of the United States are not subject to Federal Withholding Tax, or OASDI (Social Security and Medicare) taxes. Nor is there any US reporting obligation. If this circumstance applies to you, complete the UW Certificate of Foreign Status and provide proof of citizenship and residency (i.e., a copy of picture page of your passport). You department must submit a confirmation letter stating that all services will be performed outside of the US. Scanned copies of documents are acceptable. UW Foreign National employees who live and work outside of the United States will not receive any United States tax forms. For tax purposes, all Foreign Nationals are required to fill out Form 8843 (PDF). Resources and information on annual IRS reporting requirements are available through the International Student Services Office (ISS). Nonresident alien students and scholars use Glacier Nonresident Tax Compliance System to file their individual tax return with the IRS. IRS Form 8233 (PDF) and Tax Treaty Attachment for tax exemption on wages are generated through Glacier. These forms must be renewed every year. IRS Form W-8BEN (PDF) for tax exemption on Scholarship/Fellowship/Stipend payments is also generated through Glacier and is valid for three years. 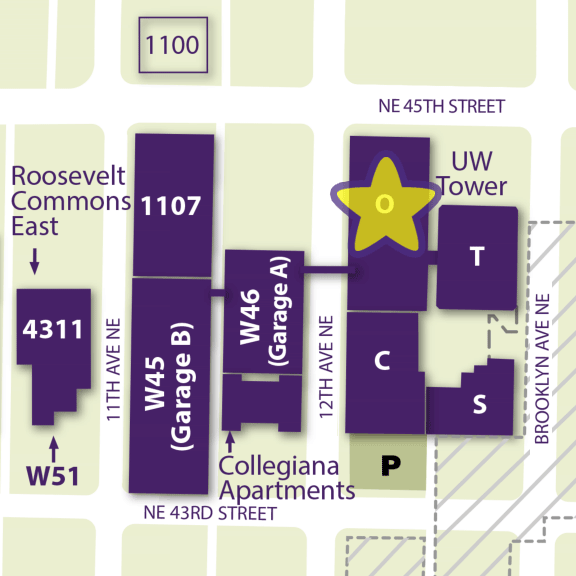 University of Washington employees cannot provide personal, legal, or tax advice. For instructions on how to fill out IRS forms, refer to the appropriate table below. Global Operations Support for Foreign Nationals Working in the U.S.